This is a sponsored post on behalf of Bays English Muffins. All opinions are my own. When I was growing up, my dad loved English muffins. In fact, he still loves a Bays English muffin for breakfast. I always thought of English Muffins as a breakfast food until recently, but you can have them any time of day. 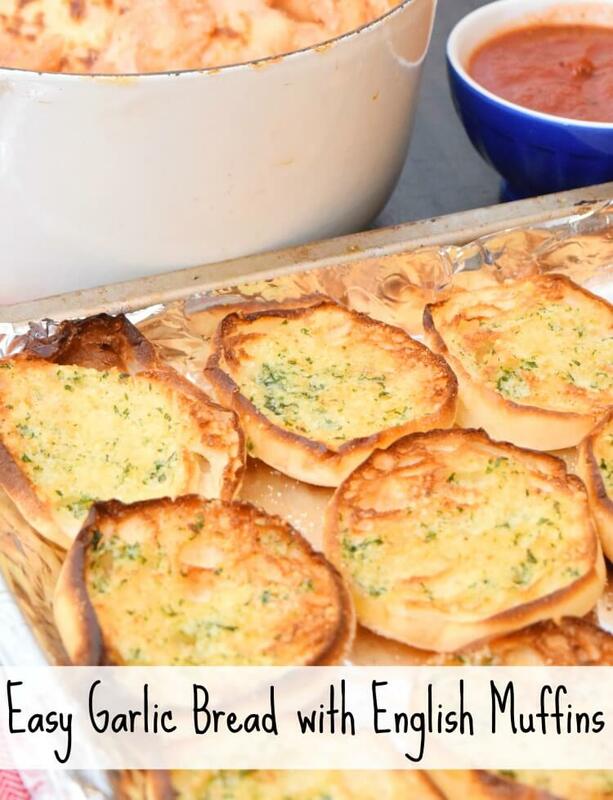 I can’t wait to share this delicious Easy Garlic Bread recipe that I found from Bays English Muffins. Plus, there are so many other recipes for all kinds of meals over at Bays.com. English muffins definitely aren’t just for breakfast anymore. I’ve been collecting recipes for lunch, dinner, and even dessert that all use English muffins as a main ingredient! Yesterday I picked up the ingredients for the Cobblestone Chicken Pot Pie I found on Bays.com. It would be perfect to use up the leftover turkey from Thanksgiving. 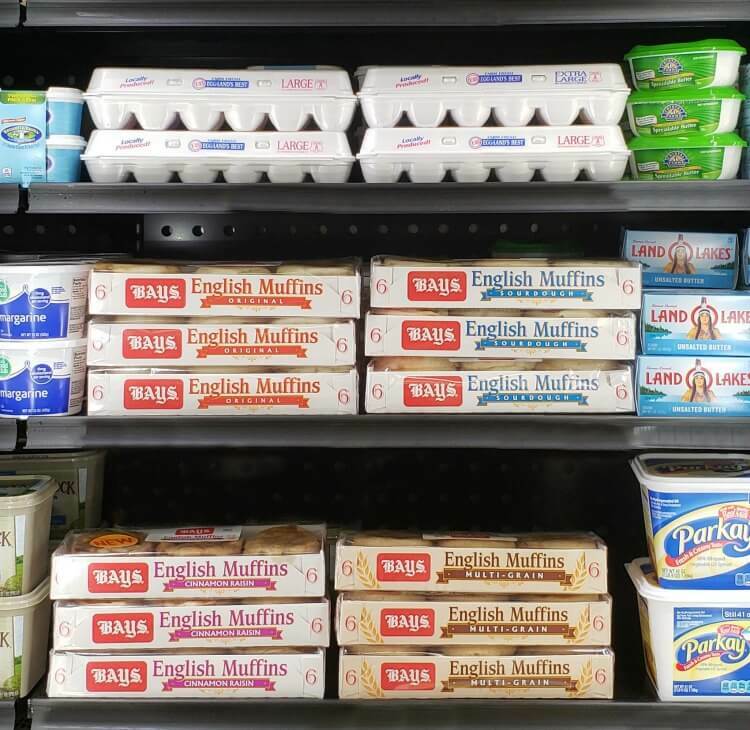 Next time you head to the store make sure to look for Bays English Muffins in the refrigerated dairy case next to the eggs and milk because you won’t find them in the bread aisle! 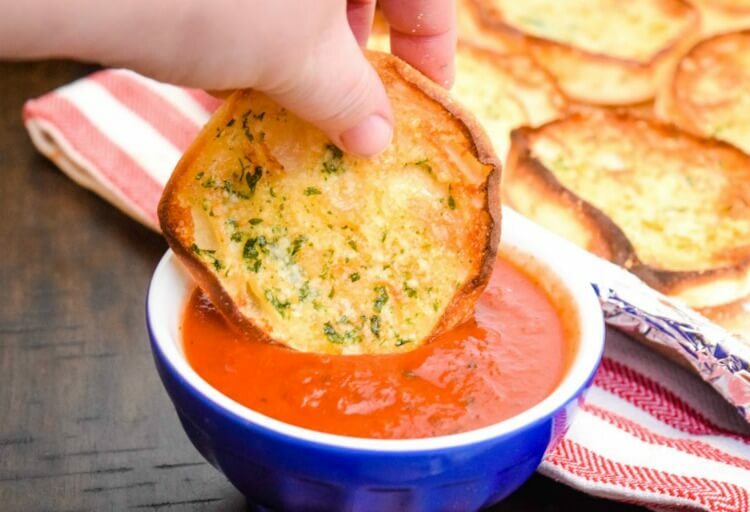 You will not believe how easy this garlic bread recipe is. I have made it half a dozen times over the last couple months for pasta night, and my kids just rave about it. They love the crunchiness from toasting and broiling the English muffins. 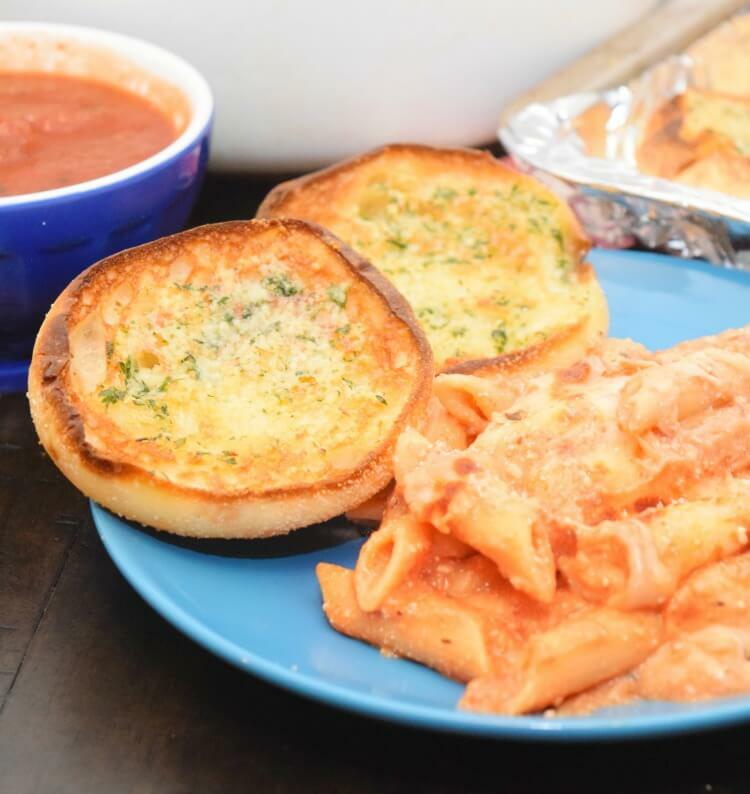 Check out the recipe below and watch this video to see how quick it is to make homemade garlic butter and turn Bays English Muffins into irresistible Garlic Bread — perfect for an appetizer with some warmed spaghetti sauce or to pair with your next pasta dish. This easy garlic bread recipe takes just minutes to make and pairs perfectly with pasta or salad. Or, it makes a wonderful appetizer, too. Mix butter, 1 tablespoon of the cheese, garlic, and parsley in small bowl. Spread 1 teaspoon butter mixture over each muffin half; place on baking sheet. Sprinkle remaining cheese evenly over muffin halves (1 teaspoon per half). Broil 1 minute or until lightly browned. Serve immediately. Head over to bays.com to find local stores that carry Bays English muffins and check out those amazing recipes I mentioned. Don’t forget to “Like” Bays on Facebook for great recipes, cool English muffin ideas, and so much more! What an easy way to enjoy some tasty garlic bread. We eat a lot of English muffins for breakfast and I plan to give the Bays brand a try. What an easy way to make some garlic bread. I never thought to make english muffin garlic bread before! I’m going to give this a try! What a great idea! I used to use up leftover burger buns etc to make garlic bread but never thought of using English muffins. They would be really tasty! This recipe looks really good! I could so go for a yummy garlic bread muffin about now! This recipe looks really good. I’m actually very interested in giving this a try. My youngest loves her garlic bread. Wow, wow and wow! This is so delicious and so easy to make. I will make this for our breakfast meal and I am sure they gonna love it. I could go for a batch of these! I am sure that these garlic bread English muffins will be a hit with a crowd! These look really good! 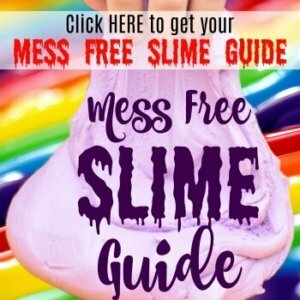 Would love to give it a try! 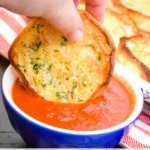 This is my new favorite way to make garlic bread! I love how easy the English muffins are to prepare! I would make a whole tray and eat it myself. Garlic bread is my weakness! Combine it with English muffins and I am done for.